After successfully capturing roggenrola in the cave, Asin managed to make through the rest of it until he found a way out. Once doing so, he quickly scurried to a nearby Pokemon center near a grassy area full of cheerful Pokemon. When riolu and roggenrola were successfully healed, Asin put them in their pokeballs and headed out. Before leaving the area, he thought he'd catch a few Pokemon, which he thought would be easy with all the Pokemon around. He wouldn't even have to go to other dangerous locations and quickly catch them for his battle with the first gym leader. However, once Asin took out a pokeball and asked, "Who's first? ", all the Pokemon ran away. Right then, a vine stretched far to Asin's pokeball, grabbed it, and took it to itself. Just then, Asin turned to his side to see who it was. It was two Pokemon that had grabbed it. The one with the vine was a Bellsprout and the other pokemon was a Dunsparce. Bellsprout quickly swallowed the Pokeball and laughed. Dunsparce than yawned making you tired for this battle. When Asin, who soon fell asleep from the yawn, woke up, he saw riolu waking up alongside him. After remembering what happened, he quickly rose riolu to his feet as they looked for the encountered pokemon and pokeball. While searching in the grassy field, he managed to find his pokeball, but not the pokemon. "Those pokemon aren't even worth it. 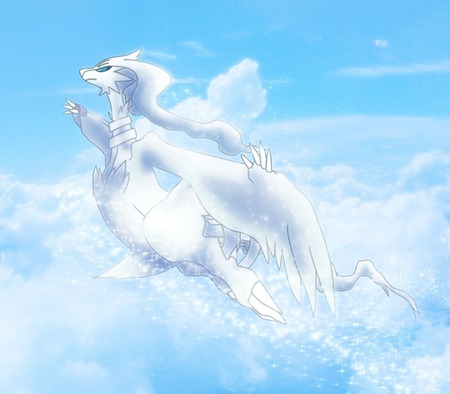 Come riolu," Asin commanded as they continued their journey out of the field. As Asin was to head into a forest just a bit ahead of the grasslands, something shot toward Asin. As it was to hit Asin hard in the head, he turned, bent down and went to a "limbo" position, and dodged the object. It was clear that it wasn't an object, but an attack. "Riolu, we have company!" he said to riolu as he hopped in front of Asin and ready for battle. Out from the bush jumped out two Pokemon. They were an Oddish and the same Dunsparce from before. This highly confused you making you wonder what all these Pokemon were doing with Dunsparce. Than Oddish shot Acid at Riolu again but this time it landed and lowered the defense of Riolu.